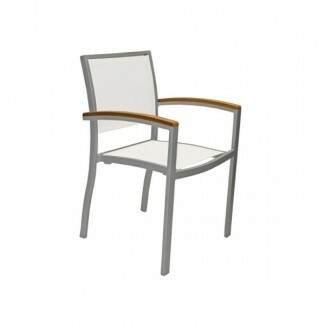 Our Mediterranean arm chair has a rust-proof aluminum frame, a batyline mesh fabric seat and back with teak armrests, and stacks for easy storage and set-up. Frame finishes include: Black or Silver. Choose from a wide selection of seat and back colors.